Baldwin Park Beauty! 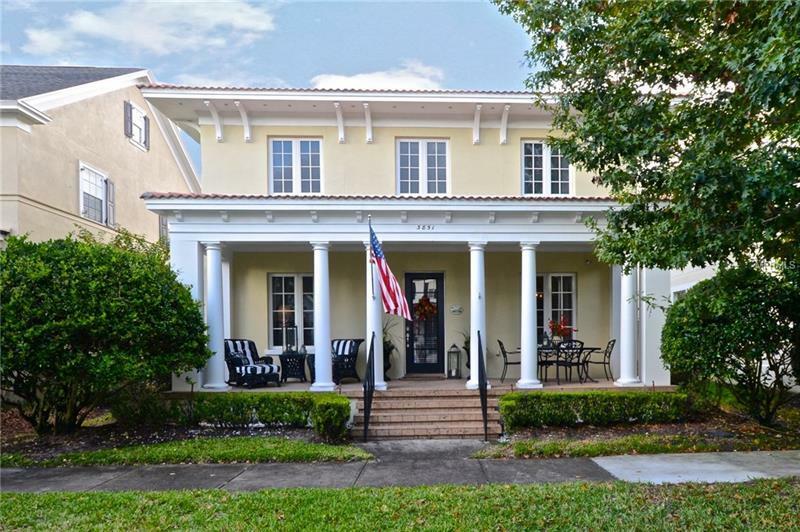 Enjoy main-floor living in this amazing 3-bedroom, 2.5-bath plantation-style home, perfectly located in one of the most desirable neighborhoods in Orlando. You will love coming home to the welcoming front porch with stately pillars spanning the entire width of the home. Inside, this spacious open-concept home features a butlerâs pantry and a large chefâs kitchen with solid wood cabinets, granite countertops, farmhouse sink and a prep island overlooking the family room. The main-floor master suite boasts brand-new hardwood floors, a large walk-in closet, and double sinks in the master bath! Two large bedrooms, a full bath and a charming office nook upstairs provide ample space for family and friends. The outdoor living space in the back yard features a large covered porch, attractive wrought-iron fence, and a cooking area with pavers, perfect for outdoor entertaining. The Baldwin Park lifestyle offers it all â swimming pools, fitness centers, biking trails, restaurants and shopping! Love Where You Live!